Check out our blog posts about breast augmentation! One option for your breast augmentation is a saline implant: when compared to silicone, saline implants require a smaller incision and its easier to detect a leak or rupture (because the body absorbs the saline). While silicone implants look and feel more natural than saline, some clients still prefer the dramatic appearance and smaller incision that comes with saline implants. Breast augmentation, or the surgical increase of the size of the breasts, is one of the most common plastic surgeries in the world, with hundreds of thousands of procedures performed every year. Like any surgical procedure, it comes with associated risk of complications (though those complications are lessened by selecting a Board Certified Surgeon). Here, well discuss some of the risks of the procedure. Breast augmentation is simple a surgical procedure that generally involves placing a silicone or saline implant in the breast in order to give a fuller, more shapely appearance to the breasts. Its one of the most common plastic surgeries, and is useful for women who want to get back to their pre-baby body, women who want to fit better into their clothes, and those who simply want to feel better about their physical appearance. When you’re considering a breast augmentation, the first thing you may be concerned about is feeling better about your body- and thats exactly what you should be thinking about! Being happy with yourself is the motivation that will get you in for a consultation. But once you start getting down to the many decisions you have to make before surgery- the most obvious being the size of your breast implants- its important to consider how your pre-op choice will affect your daily life. When you make an appointment for a breast augmentation consultation, the surgeon will discuss a number of options with you, including the type of implant you want (saline or silicone), whether to place them over or under the muscle, the size implants you desire, and what profile youre after. A breast augmentation is a surgical procedure designed to enlarge the size of the breasts, giving them fuller volume and more pronounced cleavage. This can be achieved by inserting saline or silicone implants, or through a transfer of fat from the patients own body (which is especially convenient if you have stubborn fat somewhere on your body that youd like removed). Getting a breast augmentation is an excellent way to make shopping for clothes easier, improve your self-image, or even get back your pre-baby body. 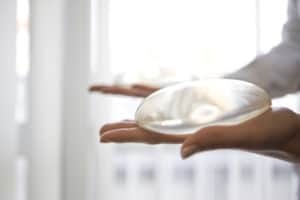 There are several decisions to make when you decide to get breast implants in Northern Va. After much discussion and consultation with your surgeon, you will decide whether silicone or saline breast implants are best for you. You will decide what kind of incisions the surgeon will make. You will also need to decide if you want the implants placed over or under the muscle in the breast. Like many people considering breast augmentation, you might be wondering how long the implants themselves will last. No one wants to undergo a surgical procedure just to have to turn around and do it again a few years down the line! However, breast implants can last up to ten or even twenty years. Breast Augmentation: What Is Capsular Contracture? Breast augmentation is one of the most popular cosmetic procedures, with several hundred thousand being performed every year. One of the risks of breast augmentation surgery is capsular contracture, but what does that mean? How can it be prevented? Well go into more detail about what exactly the term means for your breast augmentation surgery in Northern Virginia.